The ROI Review allows readers to track the performance of key stakeholders such as teams and sponsors. We can compile reports for specific brands or groups of brands, focussed on specific races and organised by team or race. 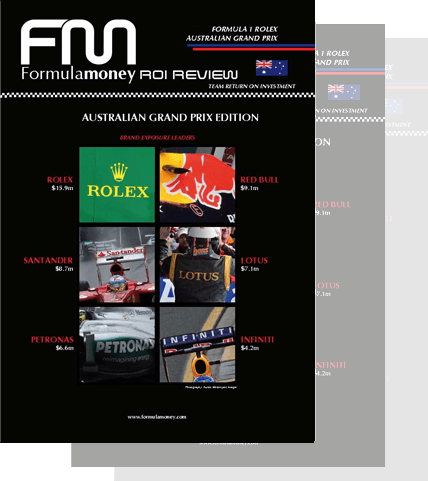 ROI Review exposure data can also be combined with information on sponsorship values from the Formula Money SPONSORSHIP DATABASE to create an index of value-for-money for selected brands.